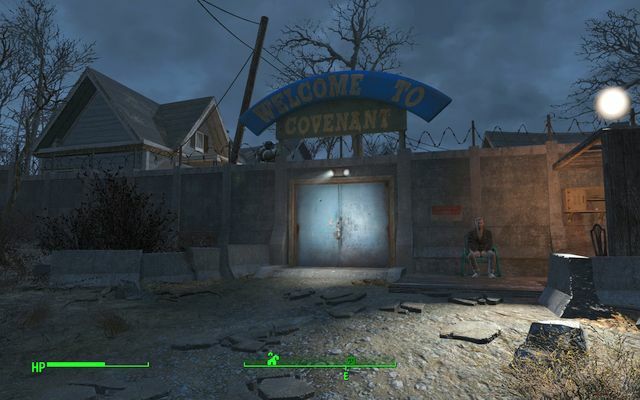 The Covenant is a beautiful settlement with concrete walls and barbed wire, making it extremely defensible. Plenty of ready built homes, and a decent amount of room to grow just enough food to feed your settlers. The lack of a good water source requires you to build more than a few wells, but really the “luxury” and security of Covenant will more than make up for it. Covenant is such a well laid out city that, as long as you produce enough food and beds, it is nearly impossible to have unhappy settlers. Another great feature is that it is centrally located, making it a great hub for your supply routes. At least for the northern half of the map (where most of your settlements are anyways). In this video Tadradan will show you how to get the truth about Covenant, complete the “Human Error” mission, and be able to take over Covenant to add to your already massive list of settlements!